Sunday 20th August 2017 saw The Other Partizan show at Newark Showground, and once again the Newark Irregulars organised and executed a very good wargames show. The George Stephenson Pavilion is fast becoming one of my favourite show venues, although it has a few temperature issues – I suppose this is the price you pay for having lots of glass for natural lighting when the sun shines! The Partizan shows continue to attract some of the best looking games around, and this event was no exception – there were several of note, but three which (at least for me) stood above the rest. Before I reveal those, lets have a look at many of the games that were on display. Apologies if I get any game attributaions incorrect – please let me know in the comments and I will correct them. 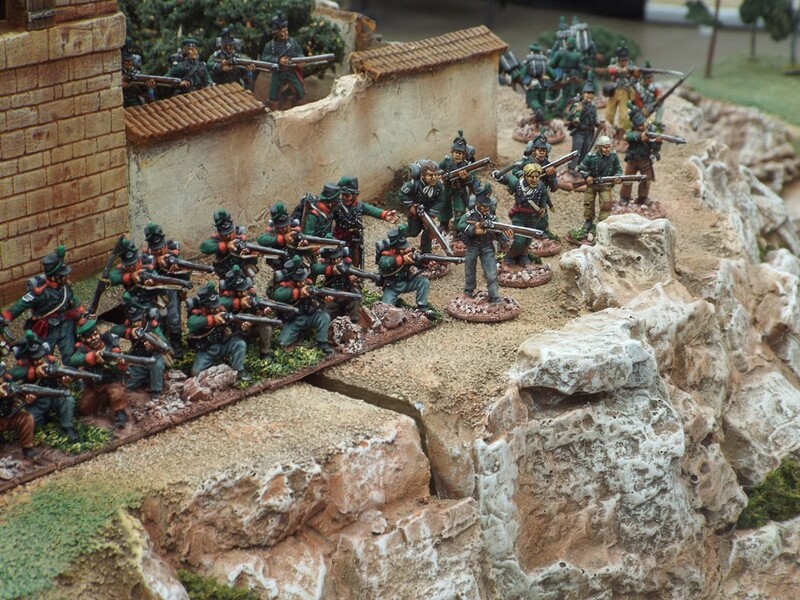 However, my favourite looking game of the day was from Harrogate Wargames Club, who were running a 28mm Italian City States game using adapted Sharp Practice rules – the fact that one of the club members had only pulled the buildings out of his loft a couple of weeks ago simply added to the story. This game proves that you do not need a massive table in order to have a fantastic looking game. Great work, thanks for sharing these. Thanks for an excellent report, particularly interested in CoC Great War.